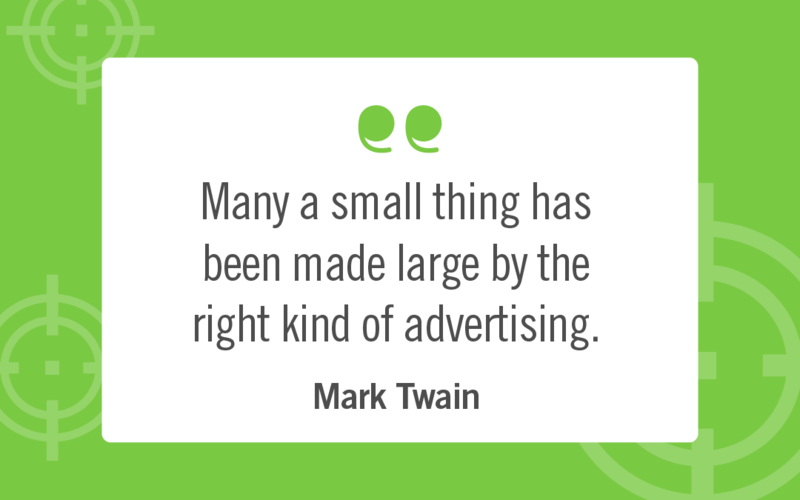 “Many a small thing has been made large by the right kind of advertising.” That’s according to Mark Twain in his 1890 novel, A Connecticut Yankee in King Arthur’s Court. Over 100 years later, his wise words apply to modern day businesses more than ever before. Advertising in 1890 was not nearly as targeted and personal as it is today – thanks to technology we use daily and the digital footprints we leave behind. Consumers now see relevant advertising online and on social media – presenting businesses with endless opportunities to earn the business of thousands of online consumers who are more likely to be interested in their products. The not-so-good news is that because consumers see ads meant for them, they can also be more selective about where they spend their money. Business owners need to remember that when consumers see an ad, the next likely step is a Google search. Even if only to look for an address or phone number, Google will also show review site star ratings. The strategies below help thousands of businesses be chosen by consumers time and again. Instead of focusing on one or two sites, focus on sites across the web to expand your reach. 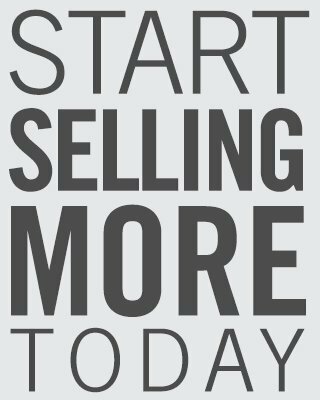 Reaching in-market consumers across Google, Facebook, Yahoo!, and LinkedIn will allow your business to establish brand awareness as more and more consumers see your ads. Focusing on just one site could prevent you from reaching key demographics. Brand awareness also builds word-of-mouth advertising. We see this especially on social media where Facebook users ask for recommendations and their network of 100’s or 1,000’s chime in with answers. This is meaningful promotion as a recommendation is an implied endorsement of your business. Once you have heightened consumer brand recall, you also want to customize your audiences even further to reach the right customer, with the right message, at the right time. Businesses can now target consumers based on behaviors, geography, website page views, and more! Reaching your ideal audience allows you to generate more engagement by reaching consumers who are likely to be interested in your business’ specific products or offers. Instead of spraying a message to the masses, technology today allows your business to strategically plot out who is going to see what. As your target audience engages with your ads, you will want to make sure your business is showing up at the top of Google search results. Why? Now more than ever, today’s consumers are doing research online before making a purchase. When consumers search for your business on Google, make sure you show up. Google “rewards” consistency so making sure your business name, address, phone number, and website are consistent across the web will push your listings higher in search results and keep you in the #1 spot. Digital Air Strike’s Seventh Annual Social Media & Online Trends Study found 78% of consumers are influenced by star ratings. Make sure the star ratings across the web – – especially those that show up in search results – – will make consumers choose your business. Most businesses have far more happy customers than dissatisfied ones. Businesses need a process to leverage those good experiences. Surveying customers after their transactions and offering those that respond positively an easy path to post that feedback on public review sites quickly improves the number of positive online reviews and star ratings. Consumers read reviews. They also read a business’ response to those reviews. How you handle what people say about your business online shows others how valuable customer satisfaction is to you. Responding to a negative review and handling the feedback in a professional manner can turn a customer’s bad experience around. Acknowledging negative feedback shows consumers researching your business that you genuinely care about your customers. Responding to positive reviews creates a sense of customer loyalty that earns repeat business. These key advertising strategies will help your business start seeing a better return on your ad spend and a better online reputation. Want to see how your business looks online? Get a free analysis of your online presence with a custom social media and online reputation intel report.